Lost City: Where's Amy Ruth's? Where's Amy Ruth's of Brooklyn? 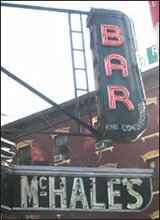 Last we heard, the Harlem-born soul-food joint was to have a grand opening in the Gage & Tollner space on Valentine's Day. I meant to be there, but couldn't make it. And then, yesterday, I walked by the address and the restaurant's not even open. A call to the Harlem Amy Ruth's confirmed the eatery did not make its Feb. 14 target. They said they're still coming to Fulton Mall, but have no definite date, only "spring." Maybe Arbor Day? Peering in the windows, I caught sight of the old "Gage & Tollner" lettering etched into the front windows and got a little misty. June per a post on chowhound. Lost City Asks "Who Goes to Fedora?" How Much Are Construction Deaths Worth? 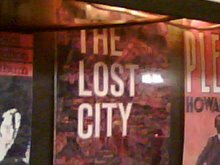 Lost City Asks "Who Goes There?" What So Hard About Lintels? Oh Happy Day! The Vendors Previal! "The Nature of New York Is Change"